Posting here the revisions made after the Planning Commission meeting on Thursday, May 3. 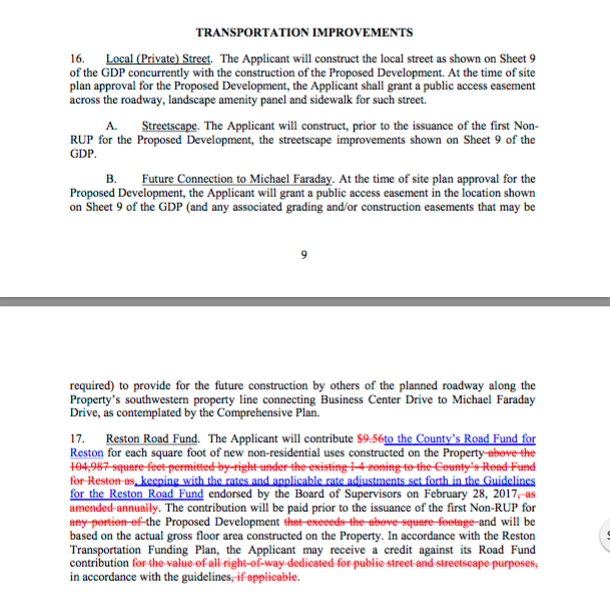 The applicant (TH Holding) has now agreed to pay its full fair-share contribution to the Reston Road Fund. Thanks to all who wrote in!